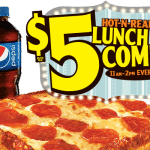 Little Caesars is making its lunch combo even tastier by reducing the price by a buck — regularly $5. 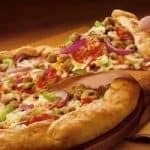 If you’re hungry on a budget, Little Caesars has a “cheap” lunch option for you. 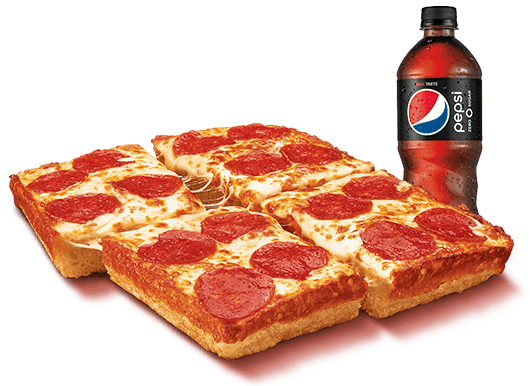 For a limited time, the pizza chain is offering its Hot-N-Ready Lunch Combo for $4 at participating locations. Every weekday, from 11 a.m. to 2 p.m., get a 4-slice Deep!Deep! 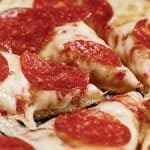 Dish Pizza with pepperoni and a bottled Pepsi product (20-oz.) for just four bucks. The best part is that it’s literally “hot and ready”, so no waiting — just grab and go.